Vietnamese farmers who are suppliers of German trader Metro Cash & Carry have had a good chance to introduce their products to visiting German Vice Chancellor and Foreign Minister Frank-Walter Steinmeier and representatives of the accompanying companies. 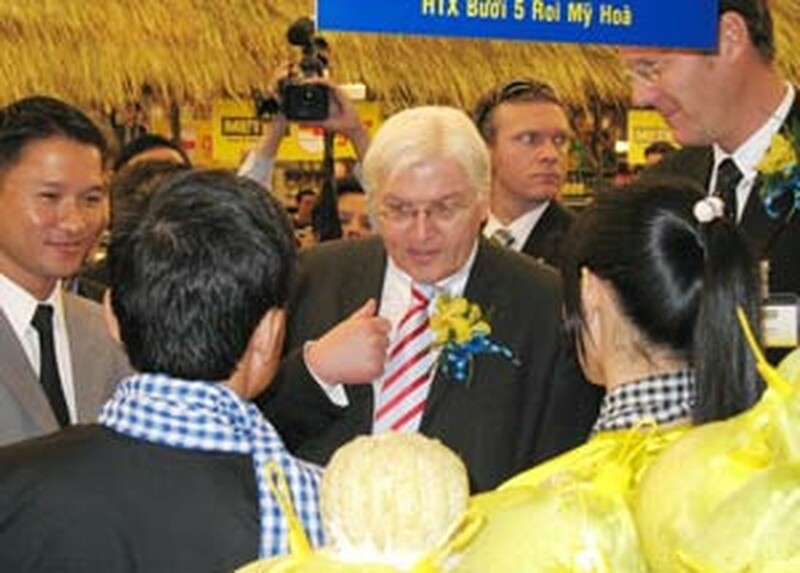 The German Deputy Prime Minister met and interacted with the Vietnamese farmers at the outlet Metro An Phu in HCMC on Saturday, the last day of his trip to Viet Nam to further boost economic and cooperation ties. Mr. Steinmeier and the accompanying business representatives tasted Vietnamese fruits and vegetables grown and supplied by the farmers, who have taken part in a joint training program of Metro and the German technology support organization GTZ. An avocado grower said to Mr. Steinmeier that since joining the program, his fruits have gone directly from his farm to the Metro shelves, no longer via intermediary traders. This has enabled him to sell more of the fruit and increase his profit. Since its market entry in 2002, besides developing the wholesale business, Metro Cash & Carry Vietnam has cooperated with the German technology support organizations DEG and GTZ to develop trade infrastructures, international quality standards, and the agricultural supply chain. Metro says over 17,000 local farmers, fishermen and agricultural retailers have been trained in the projects. Metro opened its first Viet Nam outlet in HCMC in 2002 and is currently operating eight in the country – three in the city, two in Ha Noi and one in Can Tho, Da Nang and Hai Phong each. Representatives of more than 20 German companies and business groups were accompanying Vice Chancellor Steinmeier in his Viet Nam visit, including Siemens, Meyer Werft, BASF, Prinz Medien, Harting, and Demag. Earlier in Ha Noi, the Vice Chancellor signed an agreement which will see Germany help train Vietnamese judges, lawyers and civil servants. Mr. Steinmeier and his Vietnamese counterpart Pham Gia Khiem also signed an agreement to establish a new university in HCMC. 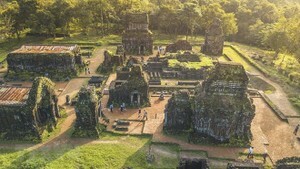 The university, which is to be a joint project between the German state of Hesse and Viet Nam, is to open its doors in the fall. The two leaders agreed to take 2010 as the Year of Viet Nam-Germany Relationship, where the two countries will organize a Germany Festival in Viet Nam and a Viet Nam Festival in Germany to mark the 35th anniversary of the two nations’ diplomatic ties.